TOTO has developed the world's first zero-gravity bathtub in which bathers experience total weightlessness. TOTO calls this extraordinarily calming, tension-free bathing experience, Zero Dimension. 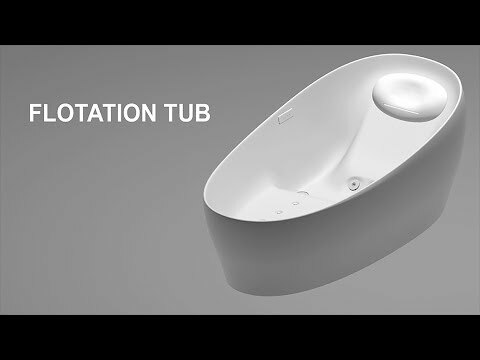 The high-tech Flotation Tub with Zero Dimension Technology has been proven to put the bather in a meditative, low-frequency brain wave state similar to what is experienced in a deeply relaxed mental state.